Having been introduced in the Eberlestock line in 2014, the F1 Mainframe Pack took no time in becoming one of Eberlestock’s most popular and versatile hunting packs. 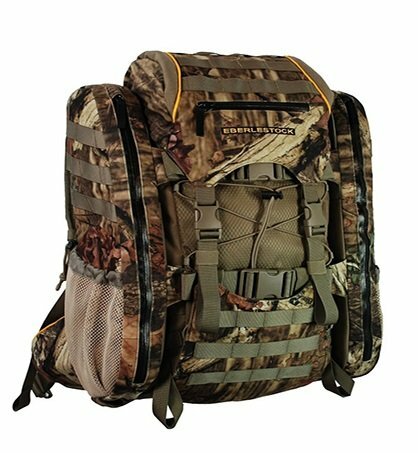 With excellent features such as an Intex II aluminum frame, an adjustable ladder harness system, multiple attachment points and horizontal compression straps that secure and stabilize your gear, the F1 Mainframe Pack has over the years made a name for itself as one of the most capable and useful hunting packs money can buy. Besides being noted for being a very capable hunting pack, the F1 Mainframe is also noted for its durability, ultra lightness, versatility and the great comfort it offers wearers. In the Eberlestock F1 Mainframe Pack review below, we shall delve deeper into some of the excellent features of the pack, its pros and cons as well as customers’ most commonly asked questions. 1.7.1 Q. Who are the manufacturers of the F1 Mainframe Pack? 1.7.2 Q. Does the F1 Mainframe come with a warranty? 1.7.3 Q. How much does the pack weigh? 1.7.4 Q. What are the dimensions of the F1 Mainframe? 1.7.5 Q. What are the colors that the F1 Mainframe can be purchase in? 1.7.6 Q. What type of frame does the pack have? 1.7.7 Q. Are the waist and shoulder straps adjustable? 1.7.8 Q. Does it come with compression straps? 1.7.9 Q. Is the pack capable of hauling meat? 1.7.10 Q. How many Eberlestock add-ons is the Mainframe compatible with? 1.7.11 Q. Is the pack hydration compatible? 1.7.12 Q. What material is the F1 Mainframe made of? 1.7.13 Q. How do I clean the pack? The Molly Webbing Method: The F1 Mainframe comes with a Molle Webbing that allows you to easily attach any of Eberlestock’s add-on accessories in order to get an excellent ultra light daypack. The Zipper Method: The second method is by the use of the Mainframe’s zippers. These zippers can be used to easily attach any of Eberlestock’s dry bags or duffle bags to the Mainframe to achieve an ultra light weight day pack. The Compression Strap Method: The last but not least method of attaching things to the Mainframe is by the use of its excellent side compression straps. The Mainframe comes with three built in horizontal straps that are designed to work with a number of Eberlestock’s packs such as the F65 Little Big Top pack, the F100 Big Top Pack and the F2 Transformer. The side straps help the Mainframe to combine with these Eberlestock packs to compress and securely hold things such as elk quarters, duffels, dry bags, zip-up bags and other equipment. The F1 Mainframe comes with an Intex II internal aluminum frame that is sturdy and stable. The frame performs a number of important functions, most notably it balances heavy load by shifting the weight of the load to your hips in order to reduce the pressure the load puts on your back. This is very important in providing the wearer with stability as well in preventing the wearer from becoming fatigued quickly. The Mainframe has a ladder harness system that can be easily adjusted to fit different torso lengths. This very useful feature ensures that regardless of your size, you can comfortably carry the F1 Mainframe. It is very durable and comes with a very tough construction. It is compatible with over 15 Eberlestock add-on accessories. The compression straps it comes with secure and stabilize your gear. It is very comfortable to carry for long hours. The Mainframe is so versatile that it can easily be transformed from a day pack or a freight pack to an impressive meat hauler. It comes with a lot of adjustments that make it easily fit different sizes of people. It has the ability to conveniently haul heavy loads. It is not hydration compatible. Q. Who are the manufacturers of the F1 Mainframe Pack? A. The F1 Mainframe Pack is manufactured by the Eberlestock Company, a company that has since 1985 been involved in the manufacturing of high-quality pouches, backpacks and carrying accessories. Q. Does the F1 Mainframe come with a warranty? A. The Eberlestock Company backs up the F1 Mainframe with its renowned lifetime warranty. What this means is that during the lifetime of the F1 Mainframe, if it develops a manufacturing related problem, the company will either repair the pack or get a new one for you. In addition to the lifetime warranty, the company also offers customers a 45-day money back guarantee from the day the customer made the purchase. Q. How much does the pack weigh? A. It has an overall weight of 4 lbs 5 oz. Q. What are the dimensions of the F1 Mainframe? A. The dimensions are: 26″L x 11″W. Q. What are the colors that the F1 Mainframe can be purchase in? A. The pack comes in the following colors: Military Green, Hide-Open Timber Veil, Dry Earth and Hide-Open Western Slope. Q. What type of frame does the pack have? A. It has an internal aluminum frame. Q. Are the waist and shoulder straps adjustable? Q. Does it come with compression straps? A. Yes the pack comes with three excellent horizontal compression straps that secure and stabilize load. Q. Is the pack capable of hauling meat? A. Yes! The F1 Mainframe is such a great meat hauler that it is capable of hauling as much meat as you can carry. Q. How many Eberlestock add-ons is the Mainframe compatible with? A. The Mainframe works very well with over 15 Eberlestock add-ons. Some of these add-ons include the following: the F2 Transformer, the J2SD Spike Duffel, the J2DB Dry Bag, and the A1SP, A2SP, A2MP, AN2P, A3SP accessory pouches, among others. Q. What material is the F1 Mainframe made of? A. Depending on the color you choose, your F1 Mainframe can be made of 1000-denier nylon or NT-7 micro fleece. Q. How do I clean the pack? A. The washing instructions of the F1 Mainframe are simple. The manufacturers recommend using detergent that is mild scent free and a high pressure hose to wash the Mainframe. When you are done washing the Mainframe, you should hang dry it. The Eberlestock Company strongly advises customers against using a washing machine to wash the Mainframe or a dryer to dry it. From the Eberlestock F1 Mainframe Pack review above, we believe readers now understand why the Mainframe is widely regarded by many as a top tier hunting and hiking pack. 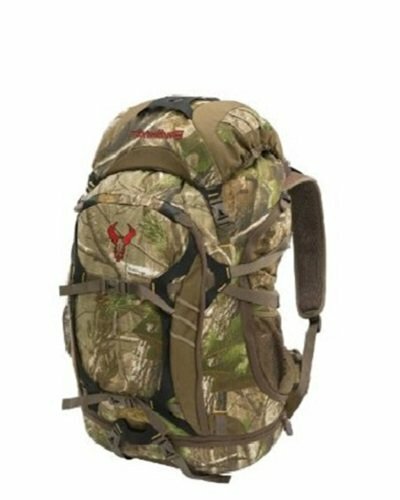 If you are a hunter looking for a hunting pack that is ultra capable, ultra light, ultra comfortable and ultra versatile, then the F1 Mainframe is worth considering.